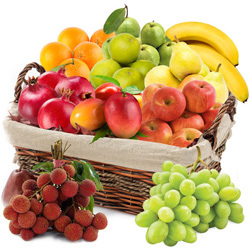 Fruits are the healthiest part of our diet and people of all age groups should have their share of fruits on a daily basis. 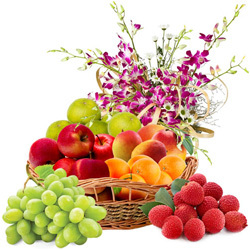 Send Fresh Fruits to Bhopal Same Day and strengthen relationship with your dear ones on occasions such as Birthday, Raksha Bandhan, Bhai Dooj, Puja and other celebrations. 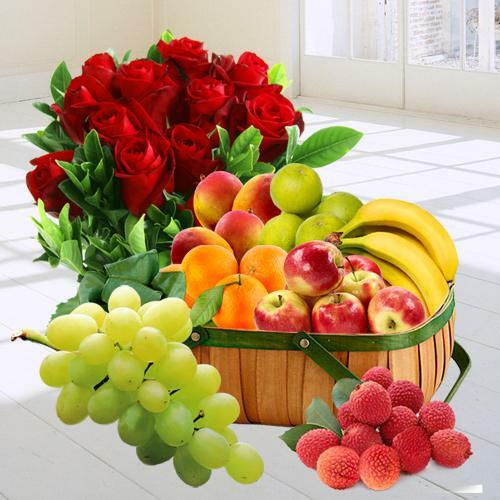 At our website we have a comprehensive range of Fresh Fruits collection such as Papaya, Mangoes, Oranges, Pineapple, Watermelon and lot more that can be combined with Gifts like Rocher Ferrero Chocolates Buky, Carnations Bouquet and Chocolate Truffle Cake at a Low Price. 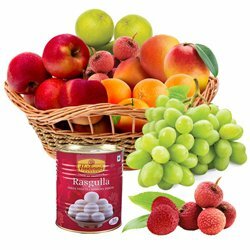 Send Online Delivery of Fruits Basket in Bhopal and get assurance of Quick Delivery within 4-6 hours at all possible locations such as Kolar Road, Ratanpur, Balampur, MP Nagar, Navri, etc with no shipping charge. 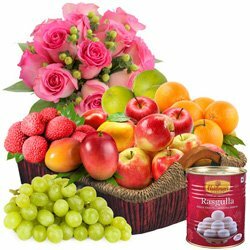 Send Fresh Fruits to Bhopal Same Day and liven up the mood of someone special by sending heartfelt wishes on their special day like Mother�s Day, Father�s Day, Anniversary, Raksha Bandhan, Bhai Dooj and other celebrations. 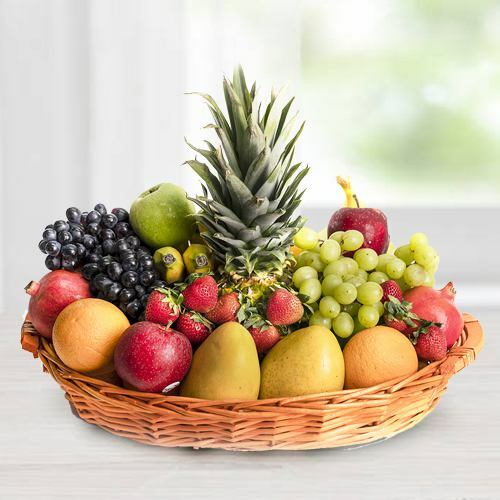 Browse through our e-shop and choose from a plethora of Fresh Fruits combos like Fresh Apples Basket with lovely Gerberas, Mangoes Basket with Cadbury Celebrations pack, Mixed Fruits Basket with delicious Pineapple Cake and lot more available at a Low Price. 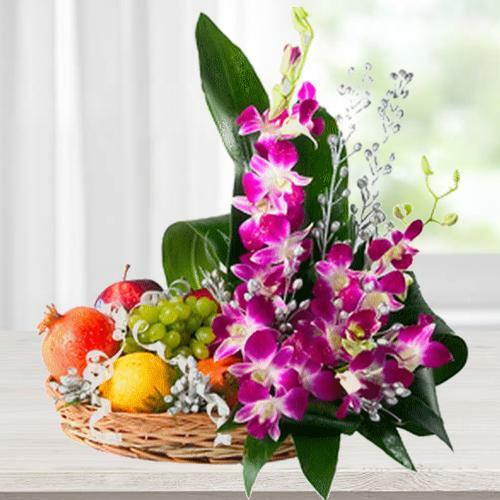 We provide Quick Delivery service to make sure that your Online Gift is delivered right On-time on your chosen date. 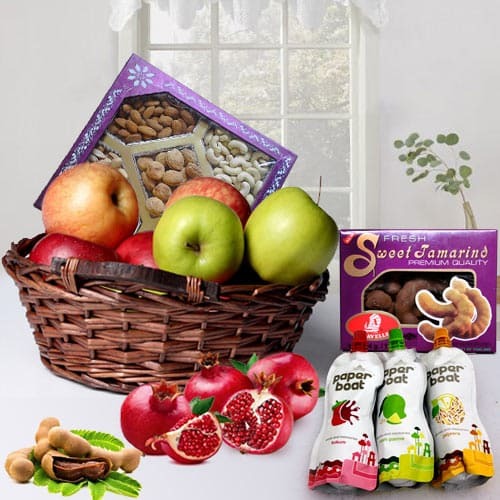 Pick up the best selling combo of Fresh Fruits from our Online Gift store and help your loved ones celebrate special occasions or events such as Diwali, Raksha Bandhan, Karva Chauth, Puja by Sending Fruits Basket to Bhopal Online. 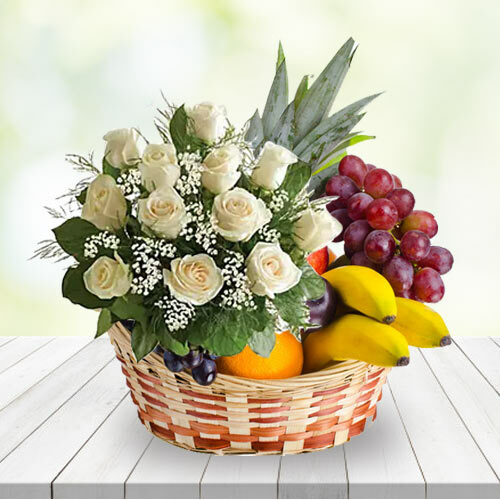 Our variety of Fresh Fruits combo includes scrumptious Fresh Fruits Basket with Haldiram Soan Papdi and Rose Bouquet, delicious One Dozen of Mangoes in a Basket with Chocolates Buky and Orchids Bunch etc. 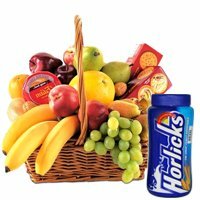 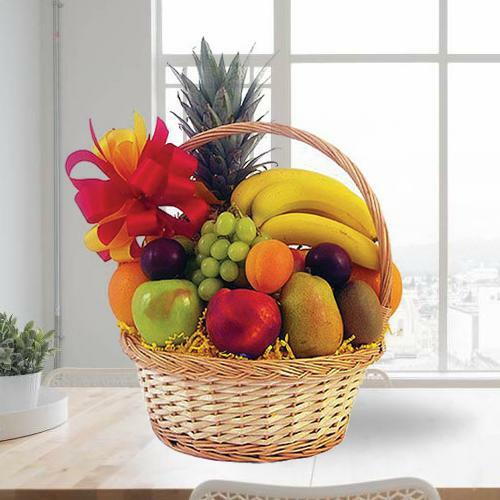 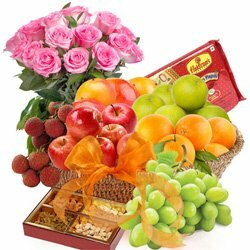 Send Fruit Basket to Bhopal Online and get Quick Delivery with Free Shipping at the doorstep of your dear ones in Bhopal. 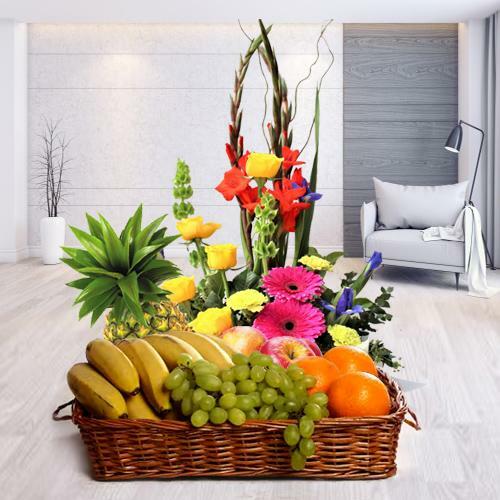 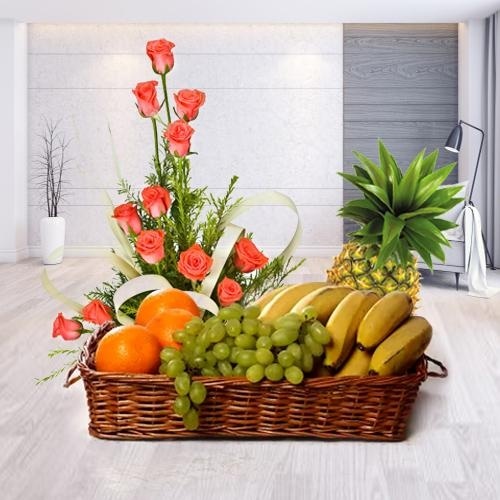 Convey deepest emotions to your loved ones by sending Online Delivery of Fruits Basket in Bhopal for Puja, Bhai Dooj, Diwali or as a Get Well Soon message or as offerings during Condolence. 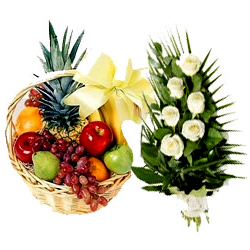 Log on to our online portal and send Fruits Basket Gift as per your need and budget. 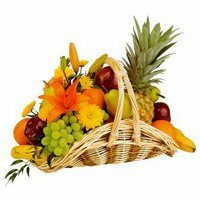 We house wide array of Fresh Fruits collection that include Oranges, Bananas, Pineapple, Watermelon, Guavas and many more at Low Cost. 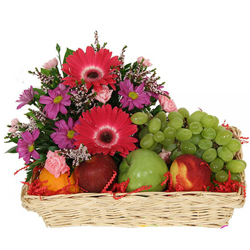 Send Fruits Basket to Bhopal and get Same Day Delivery within 24 hours without any extra Delivery Charge.